The holidays are a special time of the year for everyone. Family and friends gather together to share their traditions and the reasons for being grateful about all of the blessings in their lives. It's a time for catching up with one another, for sharing a feast full of favorite foods, and for many, sitting down and watching their favorite sports game while dad and grandpa fall asleep in their favorite easy chairs. Sometimes, as wonderful as those precious Thanksgiving traditions may be, they can get a little dry, especially for the young ones. They're often not much interested in chatting with the gathered generations of family members, with the exception, maybe, of the ones close to their age. Kids tend to get in the way during cooking and setting the table (unless they have their own jobs). After the eating, while there's clean-up and more chatting and the aforementioned sports event of choice, the young ones often go back to their restlessness. 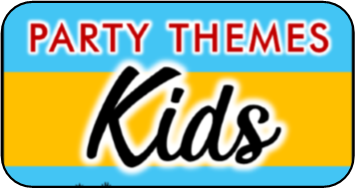 Instead of going with the old staid standards, why not turn Thanksgiving into a party that's fun for all ages? You still prepare your family's usual foods and take part in practiced traditions, but add some special spice that will not only entertain the young kids, but the rest of the family too! Have kids do arts and crafts like you might have in school to decorate the surroundings. Also, make sure they get some small, easy cooking and set up jobs so they feel like they're part of the entire celebration, not just the eating. 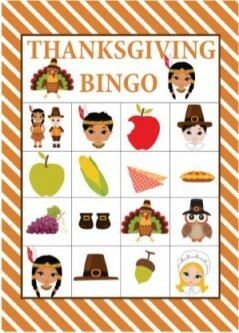 Even better, put together some Thanksgiving-themed games for everybody to take part in, especially the young ones! Once the feasting is done, many families like to stay gathered around the table for coffee or wine and catch up on the events in each other's lives. A fun activity to add to the chatter is for everyone to play a hearty game What a Year?. This game is perfect for family that doesn't see each other too often, would like to know each other better, or just a just to praise each and every family member is to personalize the trivia. Have each family member write 3-5 events or accomplishments that happened to them that year. Have parents write the cards for younger members of the family. Mix all the cards together and read them out loud - have players guess which cards belongs to who. This is another trivia-related game. You can download game cards for this on the Internet, or make up your own. Simply print out a sheet with the questions and answers, and give each person a sheet with that number of check boxes labeled Fair Fact (True) and Fowl Fiction (False). The caller reads out each fact, and the players (silently! Anyone who yells out the answer is disqualified. )indicate if they are true or false on their sheets. The winner is the player that gets all the questions right. Make sure to share the facts of each question after the game so everyone can learn some neat Thanksgiving facts! 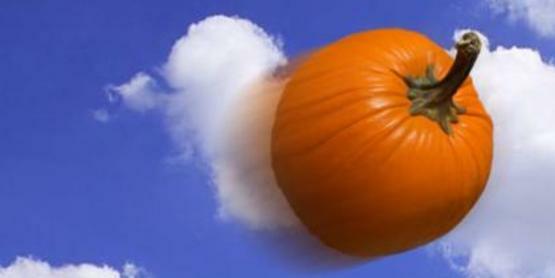 Buy a series of different sized pumpkins with various length sturdy stems. Set them up in rows, in a loose triangle similar to the way bowling pins are set, or put them on different levels with stools, pans, or whatever is handy. Each player gets three rings (you can buy these at a toy or dollar store) and six pieces of candy, like Reese's pieces, that they can buy more rings with if they fail on the first try. If they get a ring on a pumpkin stem, they get more pieces based on the position and stem size--the difficulty--of the shot. The game is over when someone gets all three rings on during one turn. Make sure to give a fun prize! This challenge is best for a time when grown siblings with families or multiple families are coming together for Thanksgiving. Issue a challenge to see which family can sling a pumpkin the farthest. Each family can work together to create their own pumpkin slinger from whatever materials they can. On the day of the challenge you will need a large empty space such as a field to play this game. Each family gets three pumpkins (all pumpkins should weigh about the same). Have little flags to mark where the most of each pumpkin lands. The winning family gets bragging rights for the whole year and possibly a trophy or winners belt. 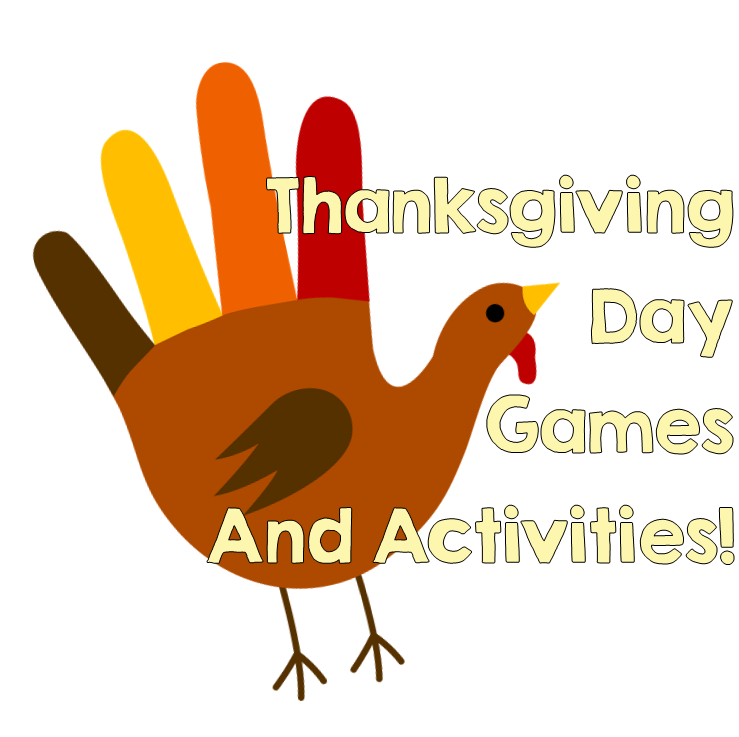 IF you looking for something fun and different to do with your kids this upcoming Thanksgiving? This hunt just might be just what you are looking for. It comes in a ready-to-print download, all you have to do is hide the clues and watch the fun begin. This is the perfect activity to entertain the kids while you are busy making the Holiday meal, or as something festive to do in the classroom or church. This hunt can be played anywhere because YOU pick the hiding locations. This is one of my exclusive treasure hunts. I created it myself and you will not one like f it anywhere else. Get full details and download instructions. Players sit in a circle, or this can be played while everyone is sitting around the table before dinner is ready to eat. The first person says, "At Thanksgiving dinner, I like to eat turkey." 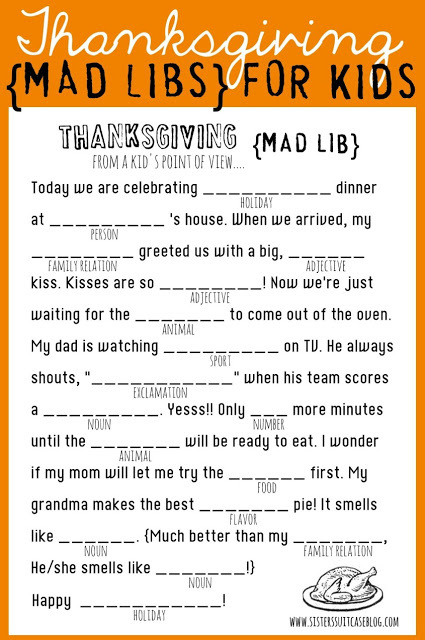 The player next to them (either direction is fine, but clockwise is considered good luck) then repeats, "At Thanksgiving dinner, I love eating turkey and..." they add another favorite food. The person next to them has to repeat the last two, plus add their own, and so on. If a player makes a mistake, they have to drop out of the game. 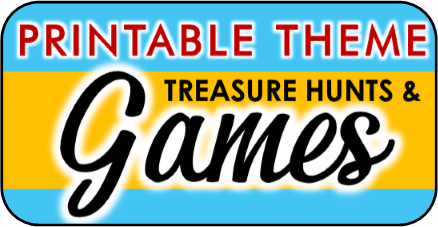 The winner is the person who can remember the entire menu from the beginning of the game. 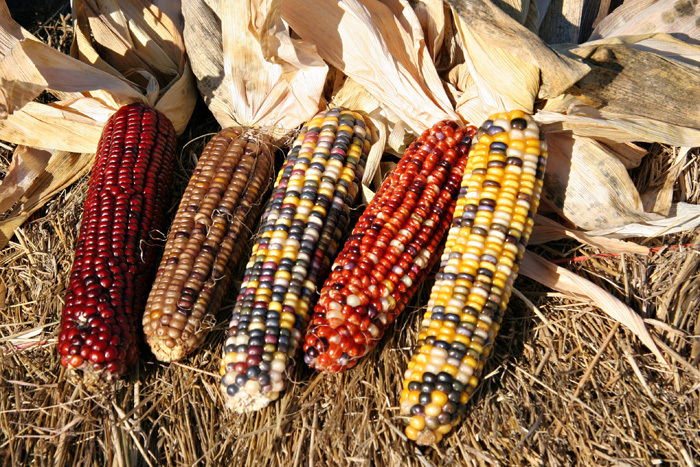 You need two or three cobs of dried (or "Indian") corn. Players are divided into two or three rows. Someone makes a sound, like a loud gobble, and the rows must pass their cob from the first person in the line to the last. The catch? They can pass it any way they want, but they can't use their hands! The team that gets their cob to the end first wins! Get a small plush turkey toy or other turkey figure. Someone is chosen to be hunter. You can use dice, pull names out of a hat, or a game spinner to choose. Everyone else will be turkeys. The hunter leaves the room, and the turkeys hide the stuffed bird somewhere around the party area. The hunter then returns, an egg timer set for a certain amount of time, and the hunter starts searching for the turkey. The turkeys gobble softly if the hunter is far from where the object is hidden, and gobble more and more wildly as the hunter gets closer, until they finally find it. If they don't find it before time is up, a new hunter is chosen, the turkey is re-hidden, and the whole thing starts all over again! 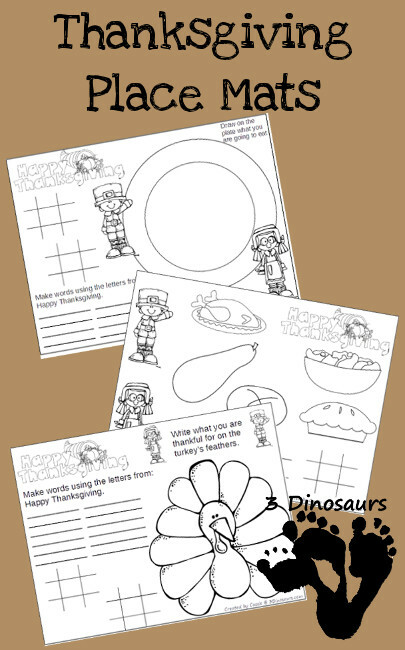 There are thousands of downloadable paper games on the net that kids can occupy themselves with while the adults are still eating or chatting at the table. Some ideas include coloring pages (you can buy cheap crayons at the dollar store -- make sure they're non-toxic if the kids are little! 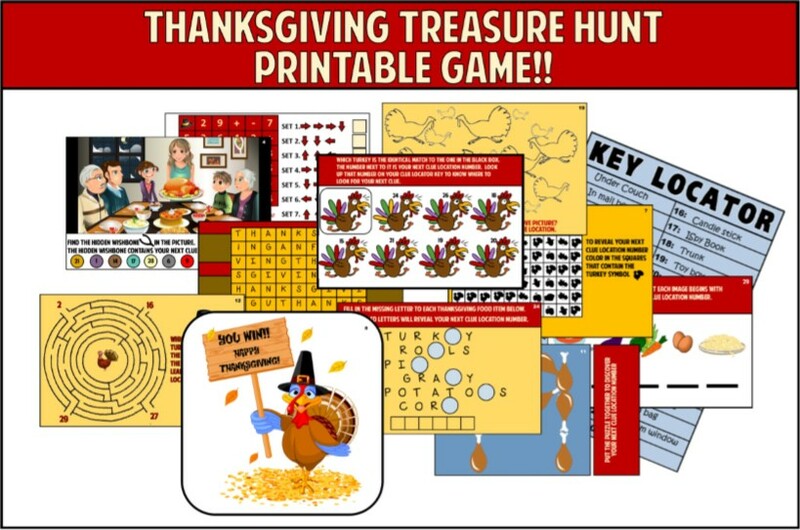 ), Thanksgiving-related word scrambles, crossword puzzles, mazes, and jokes. Take a page from clever restaurants that turn kids' activities into placemats to keep them entertained at the table. Have a pan full of full-size, cooked cobs of corn. There are two ways to play the game. One is for a each single player to have their hands tied behind their back while trying to eat the corn off the cob as quickly as they can. The second method involves pairs of players. One is blindfolded, and one has their hands tied behind their back. The blindfolded player holds the corncob, and tries to feed it to the bound player! The person who clears the most of their cob in the allotted time wins. Everyone sits around the table or in a circle and everyone has a card (can be made using index cards) with something relate to Thanksgiving - one of the cards has a turkey! One players sits in the middle (if your playing at the table just designate one player as the guesser). The other players each take a card. The player who draws the turkey, is considered the TURKEY for that round. Now all players must trade their cards with another player, look at their new cards, and then trade their cards with a different player. At this point the guesser can say GOBBLE GOBBLE and the players that received the turkey in a TRADE (not the original Turkey) must GOBBLE GOBBLE back. The guesser then gets two chances to guess who had the turkey card originally. If they guess right they get a piece of candy or other small prize and get to go again. If they guess wrong the player who originally grew the turkey gets to be the next guesser. Play as long as you like - best with six or more players. Make your own cards or if you don't have the time then download ours! 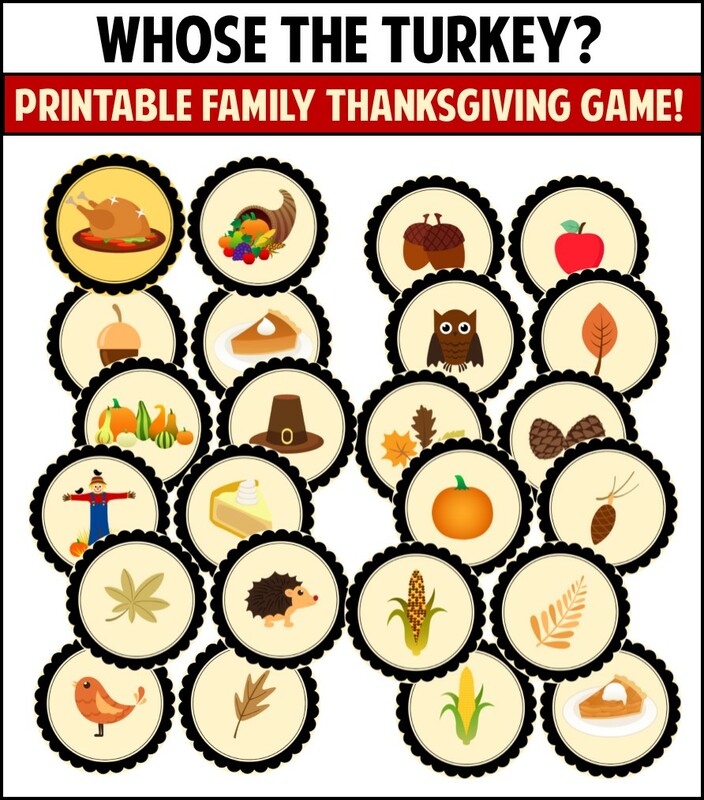 get your 'WHOse the turkey' game now! I love promoting WORTHY mom blogs and if I see a great idea I will pass it on. This adorable craft idea's credit goes to sippycupmom.com and I just had to share. 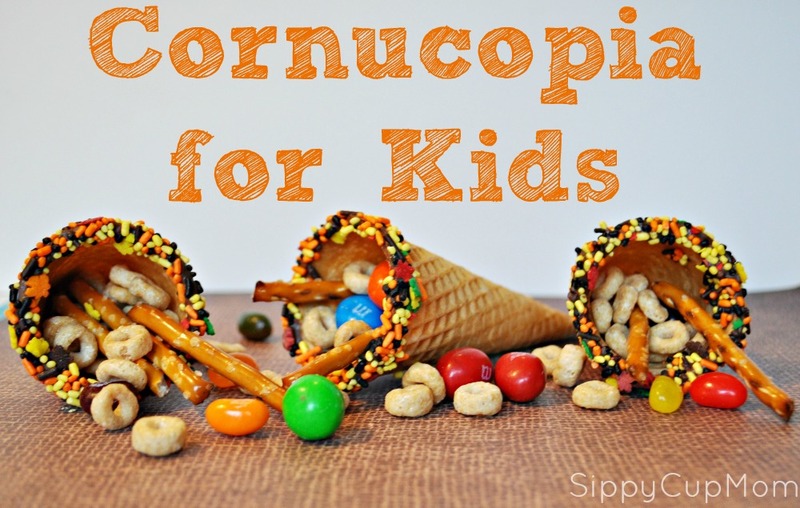 It looks like so much fun to make and absolutely delicious to eat. Click on the pic to check out her blog for complete details on how to set up this craft for your kids.